Published on May 13, 2010 in corruption, Elections, General T&T, Law, PNM, Politics, UDeCOTT, Uff Report and UNC. 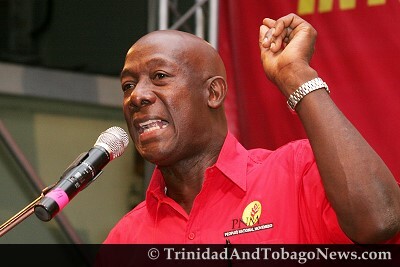 8 Comments Tags: Kamla Persad-Bissessar, Keith Rowley, Politics, Selwyn R. Cudjoe, T&T Govt, UDeCOTT. From all accounts Keith Rowley came out as a hero when he announced that he preferred to stay aboard a sinking ship (or certainly a troubled ship) rather than abandon it. He declared, “I am a sailor on the PNM ship and I know what my duty is. And it does not matter what shape the ship is in, don’t give up the ship.” Although he sounded convincing, the question was not whether he was abandoning or staying on ship but what could he propose to return the ship to an even keel and bring it safely back to shore.